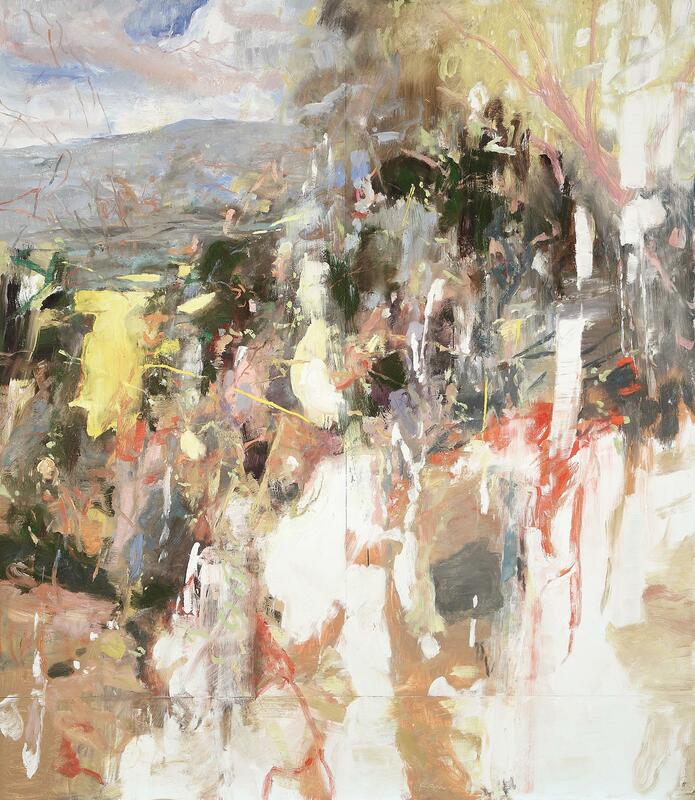 Eric Aho, Second Approach to the Mountain, 2012, Oil on linen, 90 x 80 inches. 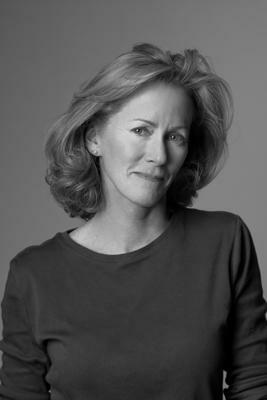 Courtesy of the artist and DC Moore Gallery, New York. 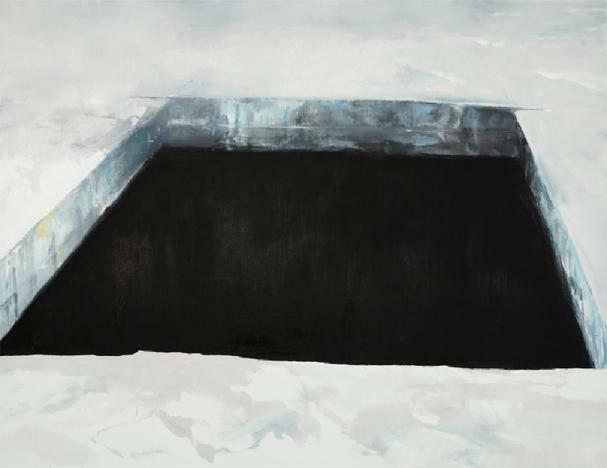 Eric Aho, Naturalist, 2011, Oil on linen, 82 x 108 inches. Courtesy of the artist and DC Moore Gallery, New York. Eric Aho, Daybreak, 2011, Oil on panel, 92 inches x 80 inches. Courtesy of the Artist and DC Moore Gallery, New York. 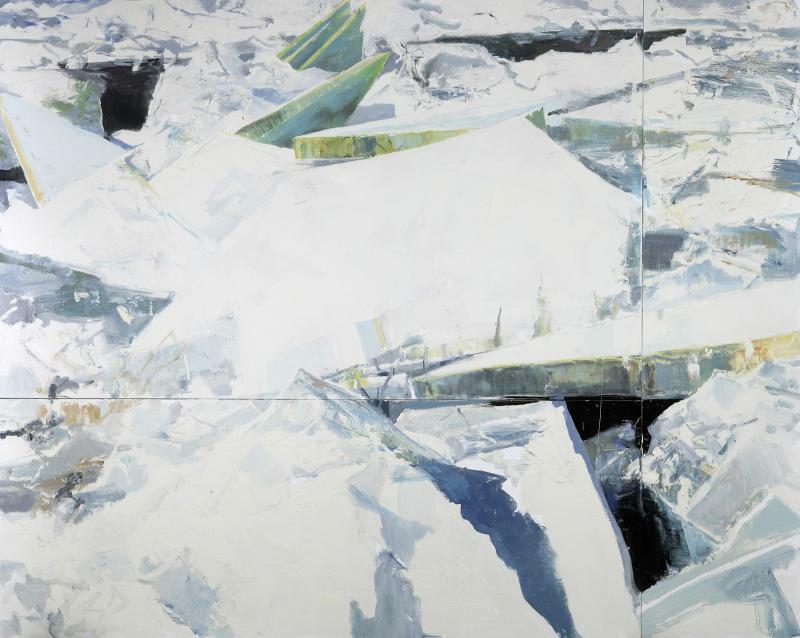 Eric Aho, Ice Cut (1932), 2010, Oil on linen, 62 x 80 inches. Courtesy of the artist and DC Moore Gallery, New York. Eric Aho, Ice Field, 2009, Oil on linen and panel, 80 x 100 inches. Courtesy of the artist and DC Moore Gallery, New York. 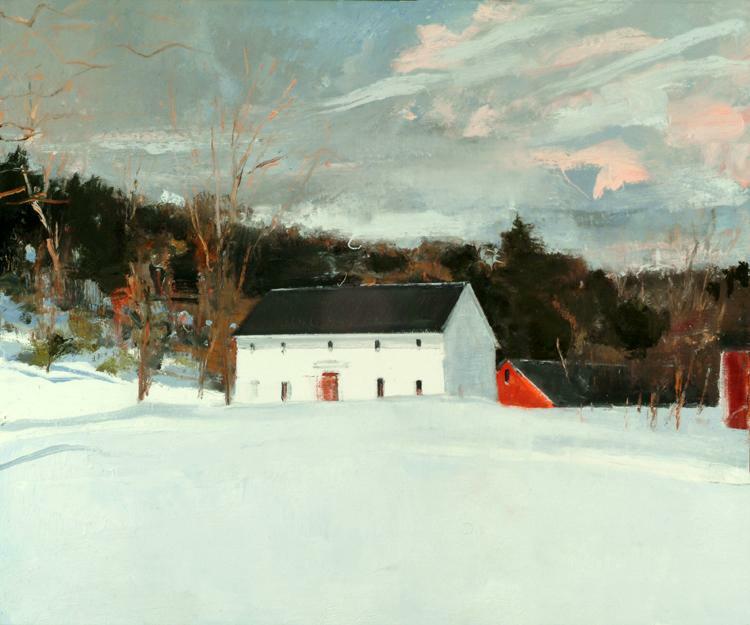 Eric Aho, Guilford White, 2008, Oil on linen, 30 inches x 36 inches. Courtesy of the Artist and DC Moore Gallery, New York. 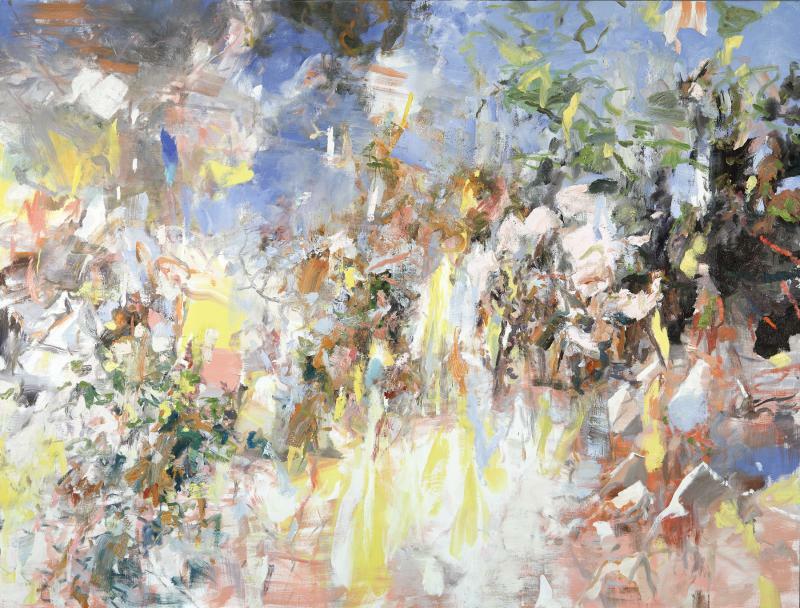 Aho's paintings are on exhibition from June 2-September 9, Transcending Nature: Paintings by Eric Aho, at the Currier Museum of Art in Manchester. His work is also on display at the DC Moore Gallery. 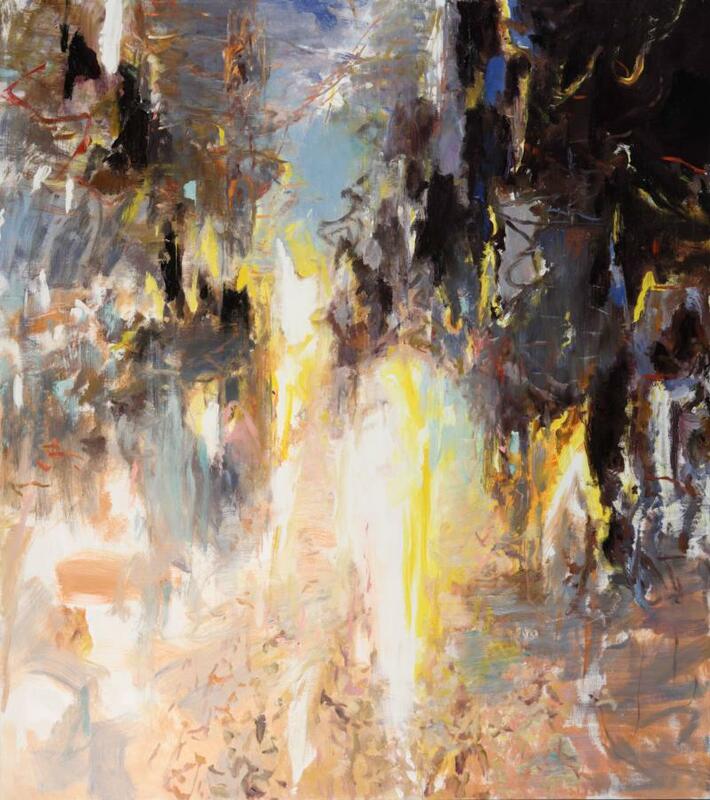 ERIC AHO: The Ice Cut paintings - they start from my father’s stories. He would tell, in elaborate detail, stories of his own childhood. By the time he was eight or nine years old, he was working on an ice harvesting operation in this community of Finns. It was a rather large-scale ice harvesting operation, right on a train line from Boston. The refrigerated, insulated cars would pull right up to the ramp, and the blocks of ice would be dragged by horse up to a conveyer belt. It was the details that stuck in his mind and then lodged into mine. Details such as the Finns talking, and they talk over sauna. And it was smell of the wet wool, the animals, the diesel equipment that they were using. And these details loomed so large for him. Obviously, it’s some intensely personal formative experience for him that he told to us repeatedly through our childhoods. And then again, this is the story that he shared with me on his deathbed. I mean, of all the experiences that a person goes through, he chose that one. And that just further cemented the vitality of those images in my mind. Many years later I have built my own sauna on a friend’s pond in New Hampshire. Throughout the winter I cut a hole in the ice. I have acquired over the years all of the old ice harvesting tools -- in fact, all of the tools that my father would have used - just as talisman, really, just to kind of further conjure this idea and have some connection with that past. So, in front of this sauna that I built, I cut a hole in the ice. Part of the Finnish sauna culture is that you go from the bath, and then you go into the extreme of this plunge pool. It was called the avanto. The water is some 34, 35 degrees. It’s a shock to the body. Then, when you step out, you feel like you won. Like you have beaten nature. You know, you can sit on the porch of the building and just be quiet. I tend to just look. I look out, and the building has the view of the Connecticut River Valley. Then, right in front of me, is this square in the ice, which I’ve looked at for 10, 12 years. And then I started thinking about my father’s story of the ice harvesting. In some ways, it’s the image that is sort of most deeply personal to me, but it hadn’t occurred to me to make a painting of it, until I saw it in relation to a larger story, rather than the literalness of what it was. As these paintings unfolded, they are also about – because they have to be for me – they’re about painting. So they’re about the origins of abstraction in painting.